Even the most conscientious boat aficionado can find ways to improve and enhance the boating experience. From the mundane tasks of necessary detailing to splurging on high end upgrades, sometimes it’s hard to know where to begin. Diversity Marine customers approach us with questions ranging from advice on bottom paint to recommendations of how to prevent their interior from fading unnecessarily. We’ve heard it all, and here are a few tips to assist the baffled boat owner. It’s no mystery that health of your hull is key to staying afloat. 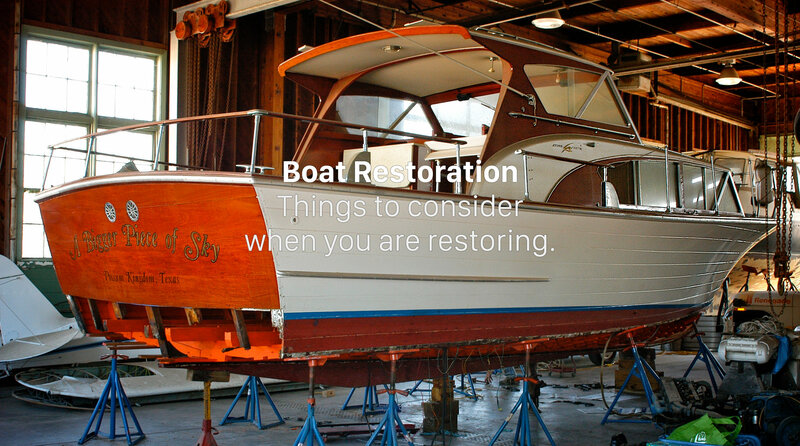 Detailing and restoring your hull is a time-consuming process, and should ideally be checked off your list long before boating season arrives. If you think you don’t have the time to spend on exterior detailing, we have written extensively on the topic showing you how to do it in no time and make maintenance as easy as ever. We have written about maintaining your exterior and your engine bay, check them out and you will be surprised how easy it can be. The interior of your vessel is just as important, as it’s where you live, cook, sleep, and relax out of glare of the sun. Detailing your interior will eliminate any odours of mildew or diesel fumes that may have accumulated during winter storage. Paying attention to the interior will reveal any larger issues like damage or sun-fading of leather seats, carpeting, or wood panels. Diversity Marine offers specialised detailing packages to address and revive those problem areas. To prevent sun damage, we recommend installing marine grade tinted window film. Window tint keeps the inside of your boat cooler in the summer, saves on A/C costs and prevent fading, cracking and damage to the interior of your boat. Window tint is proven to improve your boat’s appearance, while protecting you from dangerous UV-A and UV-B rays. See our line of window films here, and check out our interior detailing blog right here. A high quality audio system is resilient to the marine environment. Having a reliable audio system that plays your favourites adds fun and enjoyment to every excursion. Here at Diversity Marine, we don’t know where we’d be without our tunes. Victoria has a handful of really great audio installation companies that focus on boat owners, so if you need a recommendation give us a shout. If you are looking for some marine upgrades, like window films and paint protection, Diversity Marine Films has you covered, and can get you sorted out and on the open water in no time. Send us a note, we would love to hear from you.